Majid Al Futtaim’ City Centres Ajman and Sharjah —continue to commemorate the 20-year anniversary of the City Centre brand in the Northern Emirates. The malls announce a twenty day period of thrilling prizes and captivating entertainment during ‘20 Days of Winning’. The campaign, which runs from 1 -20 November, includes a brand new Jeep Cherokee 2015 as the grand draw luxury prize at each centre. 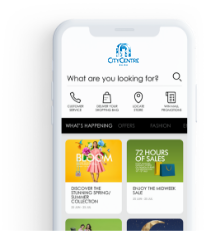 In addition, 20 winners will be rewarded every day in each mall – all with the aim of celebrating the loyalty of City Centre shoppers in the last two decades. Additionally, City Centre Sharjah will be running an exclusive radio competition to win giftcards worth AED 500 daily, with a live radio presentation on 20 November streaming from City Centre Sharjah to mark the end of the twenty day celebration. Also in City Centre Sharjah, the Graffiti Barrels Art & Dance entertainment workshop will feature artists painting live to showcase their creative talents and entertain mall visitors of all ages through music and movement. City Centre Ajman is also planning a spectacular surprise during the weekend of 19 – 21 November, to commemorate two decades of the City Centre brand. With an exciting array of colours, music and dance, the world class roaming Carnival will perform for the first time in City Centre Ajman. Giant men wearing stilts, fairies and trumpeters will come together to thrill shoppers for three special days. “With the chance to win on a daily basis, grand draws and captivating entertainment, Majid Al Futtaim’s vision to create great moments for everyone, everyday is reflected through City Centres Ajman and Sharjah’s activities celebrating 20 years of the City Centre brand. Our shoppers’ loyalty has made us the leading retail destinations in the Northern Emirates, and we are showing our appreciation through the compelling rewards and entertainment on offer,” said Fuad Mansoor Sharaf, Senior Director - Property Management, Shopping Malls, Majid Al Futtaim Properties.